CUNUPIA FC are seeking to take the plunge and enter the Pro League as early as next year, according to its coach Michael De Four. Cunupia had a productive 2018 TT Super League season, winning the League Cup last Sunday courtesy of a 2-1 victory over Queen’s Park and placing fourth in the League on 45 points, behind FC Santa Rosa, Queen’s Park and Prison Service. And De Four is hopeful his team will be able to meet the registration fee (this year’s fee for a club interested in the Pro League was $130,000) and participate in the highest level of club football in T&T. De Four, who has been head coach of Cunupia FC since its existence, believes he can bring something new to the table. Asked about the players’ mood since Sunday’s League Cup triumph, De Four said, “Everybody is just elated still. It’s the first major title any Super League club from the Central Zone has lifted in the Super League and it’s the first title in the Super League that we have lifted – and we’ve lifted it in a two-year period. De Four took part in a coaching course in Brazil two years ago at Cruzeiro and he has been using what he learnt at the popular South American club to good effect. Striker Kevon Woodley has been a key member of his team’s success as he notched 23 goals this season. But De Four, who has been at Cunupia FC for the past decade, insists the team does not revolve around the ex-national beach soccer striker. “A player or players of his calibre, at the end of the day, have to be able to play within the style of system (of the team). Even if you are ‘a big player’, if you cannot have that discipline to play in this system you wouldn’t be able to play on the squad – no matter who you are. Guys, Sam was a team mate of mine on the 1974 team. I did not always agree with him, especially when he was with Jack. But he makes sense here. Reorganize the football. When they are on secured footing with serious sponsors(very wishful thinking) then they can venture back into the pro-system. Been saying it for a while - the Professional status is now a chain around the clubs' neck. I know we want player to be able to dedicate 100% and that is what's best for them Long Run in their development, but that's not feasible if they can't put food on their families' plates and if they earn more playing fete matches. Better to have a competitive semi-pro league with good attendance and promotion/relegation that ensures a competitive league and a sense of worth in our players. It's no surprise we had the first non-trini final for ages in the Caribbean Club Championship - Dominican Republic and Jamaica are paying their players and until we can offer the same security we need to go back to basics. So what they starting the Pro League with? We'll have W Conn as the only semi-pros, The Forces as part of their day job, Rangers will field the local primary school, and Sando will walk into an unholy mess. Is this what they wanted in a "professional" league? Gut the whole structure, the leagues won't manage their finances until they have some actual accountability from the teams that are part of it. When youth pro league supposed to start? Or I guess that is wholly dependent on if there is a pro league? Maybe the Pro League will learn a lesson from this experience that it is trodding with North East Stars. Seems to be an entirely avoidable episode. For the first time, Fakoory will be not among the club owners for the local top flight competition this season, as he confirmed that he has sold the St Ann’s Rangers Football Club. Fakoory told Wired868 that he was bought out by Richard Ferguson, who negotiated on behalf of local pest control company, Terminix Trinidad. And, after four decades in St Ann’s, Rangers are now heading to La Horquetta in east Trinidad. Fakoory, who expects to be replaced as Pro League chairman soon, said he became disenchanted with the negativity around the sport and the lack of support from businesses in St Ann’s. He feels he has done his part. “I started in football with youth teams between 1978 and 1980,” he said. “We went from youth football to the savannah, to semi pro to professional; but has football reached where I wanted it to? No. “Football in Trinidad is in a mess; in fact, all sporting disciplines are in a mess—financially and administratively. We can’t seem to get it together, so people can just enjoy sport. There is no saving it. No chance of redemption. It is what it is. I think it is a good move. Central St. George(St. Joseph to Trincity) don’t have a pro team. So that is good for that region and La Horquetta. East Port of Spain lost, East Trinidad gain. Good luck. I hope the fans come out and support them. Rid­ing on the rec­om­men­da­tions of the Union of Eu­ro­pean Foot­ball As­so­ci­a­tions (UE­FA) to re­view the Board's com­po­si­tion and in­clude in­de­pen­dent per­son­nel, the League has agreed to change its cur­rent Board for­mat to in­clude rep­re­sen­ta­tives of the top three clubs; reps from a fourth team to be de­cid­ed; a mem­ber of the par­ent T&T Foot­ball As­so­ci­a­tion and two in­de­pen­dent rep­re­sen­ta­tives, of which one is ex­pect­ed to be from gov­ern­ment. It will re­place the ex­ist­ing for­mat that sees a mem­ber from each team in the pro league mak­ing up the Board of Rep­re­sen­ta­tives. Richard Fakoory, Chair­man of the T&T Pro League said a de­ci­sion has al­ready been made to fol­low the UE­FA for­mat, and he not­ed there is un­like­ly to be any squab­ble from com­pet­ing clubs, as UE­FA-run com­pe­ti­tions are the most suc­cess­ful run in the world. Ue­fa of­fi­cials are set to re­turn to T&T next Wednes­day fol­low­ing their ini­tial vis­it in Sep­tem­ber last year, and they will re­ceive, in doc­u­ment­ed form, ev­i­dence the new pro league for­mat will be put in place. With the change, how­ev­er, the pro league could po­ten­tial­ly see a new board of rep­re­sen­ta­tives each year, as it is un­like­ly that the top three clubs would fin­ish in that or­der con­sis­tent­ly. Yes­ter­day Fakoory told Guardian Me­dia Sports "Change in the League is need­ed and I am forsee some­thing very pos­i­tive. I can ad­mit that in the cur­rent sys­tem, we have club reps at­tend­ing meet­ings with their own agen­da and this pre­vent­ed a pos­i­tive way for­ward some­times, so we will try the new sys­tem and see how it will work out." Ue­fa's rec­om­men­da­tions al­so in­clud­ed a new foot­ball struc­ture that will im­pact com­pet­i­tive foot­ball in every league in the coun­try, such as the pro league, T&T Su­per League, the Re­gion­al As­so­ci­a­tion leagues and oth­er com­pe­ti­tions. Ja­maal Shabazz, founder and man­ag­er of pro league cam­paign­er Mor­vant Cale­do­nia Unit­ed said he is ex­cit­ed about this change as the lev­el of com­pe­ti­tion in all the leagues across T&T will be en­hanced. Oth­er changes rec­om­mend­ed by the UE­FA in­clude- Unit­ing the foot­ball fam­i­ly in T&T: Al­low­ing TTFA to ac­tive­ly as­sist the run­ning of the pro league: Ten­der process for new sea­son match venue: De­ci­sion on whether the pro league will sit un­der the TTFA or stay as a sep­a­rate en­ti­ty: TTFA to cen­tralise and lead foot­ball in T&T: and Re­cruit­ment of full-time staff in the sport. It al­so rec­om­mend­ed- Ver­i­fy­ing that all clubs are com­pli­ant with the FI­FA: The im­ple­men­ta­tion of a dig­i­tal foot­ball reg­is­tra­tion sys­tem by the TTFA: and De­sign­ing and cre­at­ing new pro league brand and mar­ket­ing cam­paign. Fakoory said his Board is still to hold dis­cus­sions on some of the oth­er rec­om­men­da­tions, but he will not favour the pro league be­ing man­aged by the foot­ball as­so­ci­a­tion. "We can take ad­vise from them as we are ac­cus­tomed but I do not be­lieve we should al­low the TTFA to run our af­fairs in the pro league," the St Ann's Rangers boss ex­plained. The pro league is set to kick off in ear­ly April, but it is un­sure of how many clubs will be par­tic­i­pat­ing as clubs are still strug­gling to make the $130, 000 reg­is­tra­tion fee for en­try. Fakoory said when the clubs are de­cid­ed they league will choose its board. He not­ed the board will al­so deal with the for­ma­tion of com­mit­tees rec­om­mend­ed by the UE­FA for ar­eas such as mar­ket­ing, fi­nance and fix­tures etc. Honestly!!!!! That organization can't even run themselves and they are being allowed to run the entitties below them. Allowing DJW to bully the weaklings!!!!! To accumulate power. Just this - DJW's priority is to waste all their money on vanity projects while thier league and NT die on the vine. Why the hell would you let the fox into the hen house? “Before sport used to be about passion but these days when you talk to players, the first thing you hear is ‘what you paying me? and everybody is always bickering.’ It is sickening. Neither Fakoory nor Ferguson would say how much was paid for Rangers—who finished second from bottom in the 10 team standings last season—although the latter stressed that he was only a director of the owners, Terminix Trinidad. Ferguson’s impression of the state of local football is just as gloomy as Fakoory’s; but the former man thinks he has a solution. “Professional football in Trinidad now is poor and doesn’t make any money,” Ferguson told Wired868. “When you go to a Pro League game, there is no crowd or support; however if you go to a minor league game, the ground is full with close to 4,000 people watching players who can’t even make the bench of a Pro League team. Rangers approached Tunapuna/Piarco Regional Corporation with a proposal to refurbish the sport venue at Phase Two in La Horquetta. Ferguson estimated that it would cost between TT$1.3 and $1.5 million to complete the upgrade, which would include fencing, toilets and cafeteria—although they plan to use the lights already at the ground. He said the new Rangers owners chose La Horquetta at the prompting of their head coach, Dave Quamina. “La Horquetta has a large community and 85 percent of our players and our head coach are from there,” said Ferguson. “So there is a fan base already and the ground itself is surrounded by the housing development, which means people can walk out of their house and come to the ground. While Ferguson is upbeat, Fakoory remains frustrated by the Pro League’s financial issues. He confirmed that Flow will not renew their sponsorship of the Youth Pro League. Flow’s departure follows similar exits by Digicel and Toyota in recent years and leaves First Citizens Bank, which bankrolls a knockout competition, as the only remaining sponsor. Fakoory said the Pro League is in discussion with potential sponsors and hopes to raise prize money for 2019. Regardless, the top flight’s 10 member clubs were asked to pay off their registration fee of TT$130,000 for 2018 and stump up the figure upfront for the upcoming season. Fakoory said the Pro League’s decision to start the 2018 season without receiving monies upfront from teams proved disastrous. Nearly half of the Pro League’s teams—Morvant Caledonia United, North East Stars, Point Fortin Civic and Police FC—still owe fees for 2018. Fakoory explained that those fees go to paying referees and match commissioners, office expenses and salaries for their three full-time employees: Julia Baptiste, Randy Bando and Mala Roopchand. Morvant Caledonia and Police allegedly vowed to meet the 1 February deadline to pay off their 2018 debts and to subsequently pay their registration fee for the upcoming season. However, Civic asked for a sabbatical in 2019, as they cannot afford to take part. Stars, who entered last season under the new managerial duo of Ryan Nunes and Michael Awai, are another story altogether. The 2017 champions, are the only club who, allegedly, have not contributed a cent to the running of the competition. Last week, Awai sent the Pro League a pre-action protocol letter requesting clarification on a supposed TT$1 million cash prize that he feels Stars are due for their 2017 success—a triumph that pre-dated their takeover of the club. Awai and Nunes are contending, based on the minutes of a Pro League board meeting in 2017, that prize money was promised to the champion club, despite numerous public statements to the contrary. “By ‘hold’ we meant we were not doing any prize money and the other owners accepted it,” said Fakoory. Awai suggested that Fakoory’s explanation was unconvinced and said he would rather hear what the High Court makes of it. “We are contending that the minutes don’t reflect what they are saying,” Awai told Wired868. “What the minutes are saying is the prize money is on hold, not there will be no prize money for 2017, which would have been very clear if they said it. “[…] We are just trying to determine what our rights are. Don’t tell us ‘everybody know we are struggling, so there is no prize money’. I am going with what is written. Awai explained that, if Stars triumph in court, they would expect the Pro League to offset their registration fees with their winnings as they have done for Central FC. But they are prepared to accept the court’s decision either way. “If we lose, then we have to pay but we are ready to go to court for the interpretation of that line,” he said. “We are not trying to not pay the registration. This is only one of several issues we have with the Pro League. The Pro League has no audited financial accounts for the last three years. They say they have their financial books but haven’t been able to pay for it to be audited. “But they are a limited liability company, so they must have audited statements by law. Are they running something in a savannah? This is a big business and there is a right way of doing things and a wrong way of doing things. “I mean how can you start a league and then in the middle of the league you are deciding whether there is prize money or not? I think [TTSL president Keith] Look Loy did it the right way, where before the season started he said there is no prize money. At least you know upfront. Despite the furore and his own impending exit, Fakoory said the Pro League is still alive and growing. He pointed to the return of a UEFA delegation next week, which should help in the restructuring of the top flight’s board that, at present, comprises solely of club owners. “UEFA asked us to change the structure of our board,” said Fakoory. “As owners, we all have our own agendas; and when we sit down in board meetings we tend to be looking at what is benefitting our club first and not what is best for the league, which is wrong. The Pro League could still have 10 clubs in 2019 too, as Fakoory said fourth placed Trinidad and Tobago Super League (TTSL) outfit, Cunupia FC, made a strong case for inclusion. “Cunupia applied and we may allow them in the League,” he said. “A couple other clubs enquired but we haven’t heard back from them… So there is still positive news around the Pro League, which is important for local football. My name is Clayton Morris and I am a former National and Rangers football player, who was asked to represent the former players of the community of St Ann’s on the sale of St Ann’s Rangers by Richard Fakoory, interim chairman of the Pro League, to Richard Ferguson and pest control company, Terminix Trinidad—due to the lack of support from businesses in St Ann’s. Fakoory told Wired868 that he started in football with the Rangers youth teams between 1978-1980. Rangers FC was actually founded way back in 1972. At the time, the main team in St Ann’s was West Ham. The younger players from the area, who couldn’t compete with the senior players for a spot on West Ham, would compete against each other annually as either ‘Hill Boys’ or ‘Valley Boys’ for cases of drinks. Eventually, those young men decided to form their own team, which was coached by Ronald Alexis and organised by Oscar ‘Buggy’ Haynes, Jeffrey ‘Beppe’ Sample, Ian ‘Hardy’ Morris, Ronald ‘Eggs’ Alexis and Stanley ‘Popo’ Tindale, who were the real founders and owners of Rangers. Rangers produced under-13, under-15, under-17 and under-19 teams during that period and I captained them all. We dominated those age groups in the North Zone Football Association. Players at the club would purchase their own uniforms—which were red tee-shirts, dark blue pants and red socks—and print them themselves. This went on all the way to senior level. The only time we got assistance with uniforms was when we represented Defence Force in the North Zone’s Under-19 Division, as the Defence Force Youths. Contrary to what Fakoory said, his company, Superstar, actually came on board at Rangers in the mid-1980s. Wendell “Tractor” Belgrave—the late father of Trinidad and Tobago Women’s National Senior Team defender Ria Belgrave and Pro League stand-outs Josimar Belgrave and Elijah Belgrave—invited Richard Fakoory to a club meeting where he was said to be impressed with the way Rangers organised themselves despite the lack of funding. Superstar came on board soon after and the club became known as ‘Superstar Rangers’. This partnership boosted the players’ moral and motivated the community. The question of financial support from businesses within the St Ann’s community was not an issue then as Superstar was in control, as title sponsor. A few years ago, we were told that the Superstar name was dropped from the team as Pro League teams were asked to be associated with their communities and one of the criteria for government funding was that teams had to be unsponsored. So the club became St Ann’s Rangers. In recent times, Rangers have struggled to get proper training and playing facilities which forced sessions to be held at the Queen’s Park Savannah. Talented youths from the St Ann’s community were demotivated by this move—they felt the ‘vibes’ around the side had gone—and the result eventually became a Rangers team that was almost totally filled with ‘outsiders’. We in St Ann’s are very much concerned with the decision to move St Ann’s Rangers to La Horquetta. Who gave Mr Fakoory the rights to sell St Ann’s Rangers? What is the cost involved and how do the people of St Ann’s benefit from this move? I have over twenty years working experience as a corporate communication assistant at Petrotrin, which sponsored various community sports and cultural groups. When we sponsored the Phase II Pan Groove, it was the Petrotrin Phase II Pan Groove; but when the contract ended, Petrotrin moved on and Phase II Pan Groove kept its name. So how is it that a sponsor—Fakoory’s Superstar—became seen as the owner of the club it came on board with, as happened with Rangers? How can Fakoory sell something he never bought in the first place? What will become of the St Ann’s youths whose passion is to become a Trinidad and Tobago national player like Sheldon Bateau, Belgrave or myself? We, the former members/players of the community of St Ann’s who were provided the grand opportunity to excel by Rangers FC, hope and pray that some consideration be given towards the continued development of the youths of our community. I new of Superstar, but did not know of sponsorship arrangements. Court case on the horizon. On the face of it, nothing for Fakoory to lose sleep over. One of the stakeholders, TT Super League president Keith Look Loy, confirmed that discussions among a tripartite committee comprising TT Pro League CEO Julia Baptiste, himself and TTFA representative Richard Piper had already begun, although a definite time-frame for implementation was still uncertain. "Call it what you like, a National League, the name is not important," Look Loy stated, "This presents an important opportunity for us to move toward having one league in our football again, with multiple divisions." The new entity is to be funded to the tune of US$2 million over a period of two years. Look Loy felt the role of the Sports Company must not be understated. There are still two years left on a commitment by SporTT to fund the Pro League and it has been proposed that this money be used to fund the merged league, along with a portion of funds the TTFA obtains through the FIFA Forward Programme. "It is a serious investment by the Sport Company and I believe they should be given credit for this. In fact, UEFA is not putting in a cent," Look Loy declared. "It is US $1million a year for two years. Of the TT $6.5 million or $6.6 million, according to the exchange rate, this year the Government of Trinidad and Tobago, via the Sport Company, is contributing $4.2 million." He continued: "We getting some monies from FIFA via what is called the Forward Programme and we getting a small contribution from Concacaf. 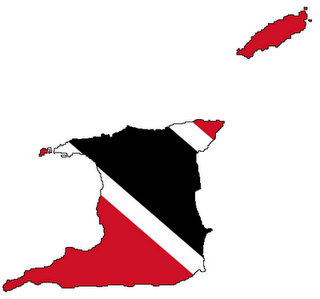 But the big investor in all of this is the Sport Company of Trinidad and Tobago." The newly-proposed entity will consist of a national league, with multiple divisions, featuring relegation and promotion. It will be governed under the auspices of the Trinidad and Tobago Football Association but run independently by the league. Look Loy felt the new arrangement was best for local football. He revealed that one of the recommendations out of the initial meeting of stakeholders was to keep league football independent of the TTFA. "So far the two leagues are convinced that football should not return to the TTFA," said Look Loy. He continued: "Let the TTFA run what a national association should run...national teams, development teams, education programs, grassroots. Let them do that, and league football will be run by league football." The move to join the top local competition comes following a UEFA workshop held here two weeks ago. Recommendation was made that a pyramid system of local football should be re-established. Robert Pongracz, a UEFA Football operations specialist made a recommendation for a system of promotion and relegation that would inspire clubs to strive for excellence and be rewarded for it. Pongracz spoke of a proposal where monies from the FIFA subvention would be divided among the two top tier Leagues (Pro League and Super League) with two main characteristics. The first would be for there to be equal sharing among the clubs and thereby enabling clubs to plan ahead, as they would know how much they would be earning. The second would be for clubs to receive monies based on their performances. I invite everyone to predict the possible scenarios that could hit the headlines two years from now (and conceivably before). I appreciate optimism more than the next guy, but ... this reads like someone in Moscow or Washington contemplating yet another attempt to subdue the Taliban and conquer Afghanistan and to achieve it within 100 days, in spite of the weight of history. $1 million each year over two years divided by even more constituents than has been the norm? OK.
Cosmetics. And not even lipstick on a pig quality. If 20 clubs are in the league, that will equate to $50,000 US per club. Provided these payments are made, still don't see how it will help cover expenses these club will face during the season. Then again many clubs were operating without that type of installment so it will definitely help given other enterprises are in fact contributing. Personally I think we need to follow the blueprint of the MLS if we're starting fresh. And most of the players may need other jobs while playing in the league.